The Buddha. Rene Descartes. Emily Dickinson. Greta Garbo. Bobby Fischer. J. D. Salinger: Loners, allalong with as many as 25 percent of the world's population. Loners keep to themselves, and like it that way. Yet in the press, in films, in folklore, and nearly everywhere one looks, loners are tagged as losers and psychopaths, perverts and pity cases, ogres and mad bombers, elitists and wicked witches. Too often, loners buy into those messages and strive to change, making themselves miserable in the process by hiding their true natureand hiding from it. Loners as a group deserve to be reassessedto claim their rightful place, rather than be perceived as damaged goods that need to be "fixed." 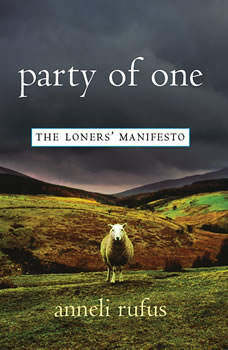 In Party of One Anneli Rufus -- a prize-winning, critically acclaimed writer with talent to burn -- has crafted a morally urgent, historically compelling tour de forcea long-overdue argument in defense of the loner, then and now. Marshalling a polymath's easy erudition to make her case, assembling evidence from every conceivable arena of culture as well as interviews with experts and loners worldwide and her own acutely calibrated analysis, Rufus rebuts the prevailing notion that aloneness is indistinguishable from loneliness, the fallacy that all of those who are alone don't want to be, and wouldn't be, if only they knew how. In Sheep's Clothing: Understanding and Dealing with Manipulative People is the international bestseller from Dr. George K. Simon, used in thousands of psychiatric clinics worldwide.